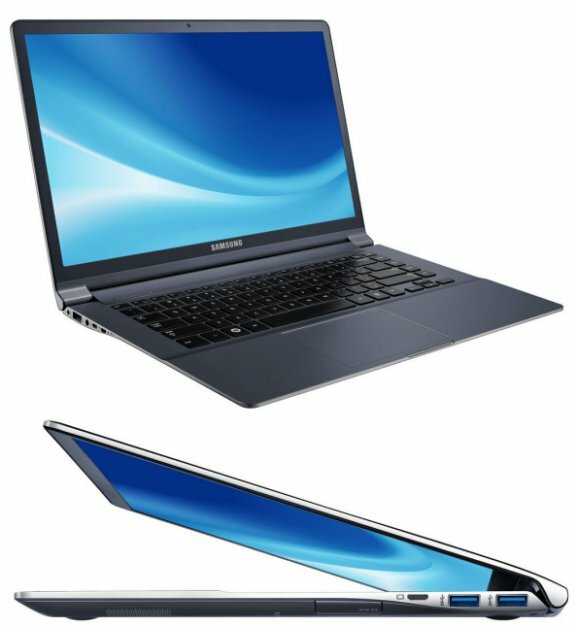 TPU came across details of Samsung's upcoming 15" Series 9 ultrabook. The NP900X4C features the Intel Core i5-3317U dual-core Ivy Bridge processor (1.7GHz, with 2.6GHz Turbo Boost) with integrated Intel HD 4000 graphics, a 1600 x 900 pixel screen, Intel HM75 chipset, 8GB DDR3-1600, and a 128GB SSD. You can expect this system to hit retail shelves in June. Connectivity/features include 802.11 b/g/n with WiDi support, Bluetooth 4.0, one USB 2.0 and two USB 3.0 ports, micro-HDMI display output, SD/MMC card-reader, and 1.3 megapixel webcam. The keyboad has backlit illumination, and the tracking device is a large multi-touch clickpad. The Series 9 body is made of an all-aluminum chassis, which could make it light, improve heat dissipation, but also step up its costs.